VITSPRO recently joined ISO-QUALITY TESTING, INC. (IQT) and started offering computer-based exams (CBE) to their test candidates. . ISO Quality Testing provides secure, user-friendly, high quality, reasonably-priced computerized examination delivery services to credentialing bodies, and the candidates which they examine, at a secure and monitored locations around the world and VITSPRO is indeed honoured to be a part of their family. 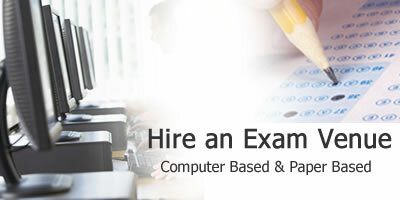 ISO-Quality Testing is fully committed to providing comprehensive and cost-effective computer-based testing solutions to credentialing bodies, and competent consultation services on matters pertaining to the administration of examinations via computer. The term ‘ISO’ refers to “optimal solutions,” and reflects our core philosophy of providing optimal and high-quality solutions to our clients. Need to locate test centre? We offer free onsite parking facility . Test candidates are welcome to park their cars any where inside the premises. Test Candidates must report to the Main Reception at Ground Floor upon arrival. Candidates coming on Saturday call at office number: 0191 273 3322 upon arrival inorder to get access to the building as main gate remain close on Saturday. VITSPRO joins AAT (Association of Accounting Technicians) to offer computer-based testing (CBT) to their test candidates.